It’s that time of year again. Everyone wants to gather with their friends and family to celebrate the holidays and remind each other of how thankful they are for each other. While these gatherings can be fun for everyone, it can be a lot of stress for hosts. You need to make sure you have enough food, clean your home, and provide entertainment. The process of preparing for a party can be a lot of effort, but menu planning is one thing we can help you with. The perfect way to complete a holiday party is finding the perfect drink selection. No matter the ages of your guests, malt is a surprising perfect ingredient for the occasion. If your party goers are looking for a way to wind down, then a nice warm drink may be the perfect solution. Hot Malty Chocolate drinks are very simple to make, and they give your drink a malty flavor that will be nostalgic for some of your guests or just something fun for others. A hot drink is a perfect way to wind down a party and get everyone feeling cozy. The drink is very easy to make as it only requires your favorite hot chocolate recipe and a few additional spoonfuls of Soda Fountain Malted Milk Powder. Whether you have a secret recipe that has been in your family for ages, or you just like the simple packets, malted milk powder is the perfect addition. You can either prepare a large quantity of the drink ahead of time, or provide hot water and punch-bowl style mix with the malt powder already added in. 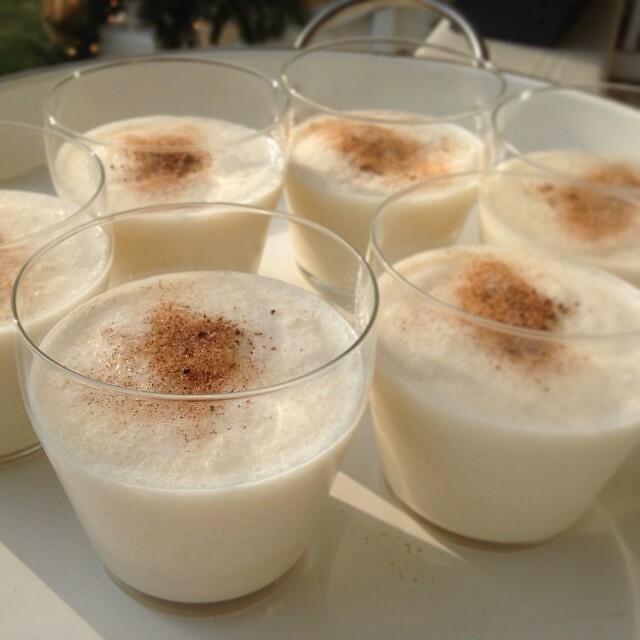 Eggnog is a classic holiday drink. You can barely find it for sale unless it’s the holiday season, so you have to take advantage of the drink while it is in season. There are many ways to prepare eggnog, but this Chocolate Malt Eggnog recipe from CTL Foods is a delicious addition to the egg nog repertoire. There are two variations of this recipe, one for all and one just for adults. All you need for the basic recipe are quarts of eggnog, cocoa powder, cinnamon or pumpkin spice, and Soda Fountain Malted Milk Powder. For the adult version, simply add some kahlua and rum. The linked recipe is already made for a party, so you won’t have to worry about converting the measurements. Here’s a brand new recipe just added on our Recipes page. The Irish Cream shot with added Malt is the perfect holiday drink appetizer. Fun, easy, and quick to make with just a few ingredients, this one will get the ball rolling on the holiday party quickly! There you have it! Three perfect drink ideas for your holiday party. These will be sure to get your guests in a festive mood and bring everyone together.